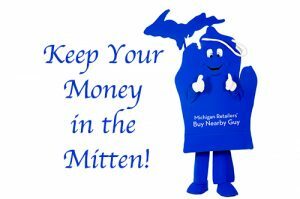 Weber Center Shop and the Michigan Retailers Association want you to keep your money in the mitten. “Buy Nearby” weekend is celebrated October 5-7, 2018 and encourages local shoppers to get out and explore their local retail shops. If Michigan consumers switched just one in 10 of their purchases from out-of-state merchants to Michigan businesses, our state would gain more than $1.2 billion in increased economic activity and 10,600 new jobs. Wages would increase by more than $350 million. Join in the Buy Nearby campaign by visiting the Weber Center Shop, especially if you have never stopped in before. 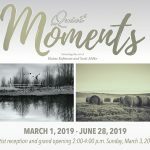 Our shop offers books on spirituality, unique gifts, cards, beautiful fair trade items, and original artwork. Purchase something at the Weber Center shop on October 5-6 and enter the Buy Nearby contest with a chance to win a $100 gift card. Take a photo of your local purchase and share the photo on Twitter, Facebook, or Instagram with the hashtag #BuyNearbyMI (details here). Five lucky winners will be selected at random. You can also meet the Buy Nearby mascot at the Adrian First Friday event on October 5 in downtown Adrian, Michigan.